If you’re into fitness and you’ve never been to the Arnold Sports Festival, it’s time you made the trip. Everything you’ve ever seen or read online or in print comes to life right in front of your eyes. That may sound like hyperbole, but I still remember my first trip to Columbus as if it were yesterday. The first thing that gets your attention is the Arnold Expo—a giant room that could contain a small community filled with booth after booth after booth of exhibitors and their wares. Once in the door, you’re immediately captivated by the banners, the booths, and especially by the energy. It permeates the hall, exuding from the crowds of expo goers and from the athletes competing in dozens of events—strongman on one side, gymnastics on the other, and the bodybuilding and physique events on the expo stage. Your favorite athletes and celebrities are appearing at the booths, meeting fans throughout the weekend, but even better, you can bump into them at any moment as they make their way through the hall. Imagine walking right by a Mr. Olympia winner. There’s a good possibility you will actually rub shoulders with an elite champion. Then there’s the swag, samples, photos, and amazing deals being offered. You can stock up on months’ worth of supplements while you’re there and save some cash too. The sheer number of athletes present throughout the weekend is staggering. More than 18,000 of all ages from all parts of the world compete in events like powerlifting, Olympic weightlifting, running, fencing, and more sports and fitness events than you can imagine. You can’t help but be inspired and want to train when you see them preparing for action. And, oh, yeah. There’s the Arnold Classic itself. You’ve seen the pictures in the magazines, but it’s no joke when I say that pics don’t do these bodybuilders justice. Their razor-sharp condition and jaw-dropping mass have to be seen in person to be truly appreciated. The ladies who compete are inspiring as well. 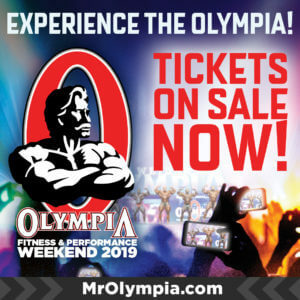 This year’s pro lineup includes men’s bodybuilding, men’s 212 bodybuilding, fitness, figure, bikini and men’s and women’s physique, and wheelchair. The celebrities go far beyond the fitness industry. Whether it’s WWE superstars, world champions in MMA or boxing, or entertainment celebrities who have been invited by Arnold, the biggest names go to the Arnold. Of course, the man himself is also around. 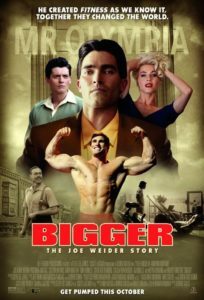 You will very likely see the seven-time Mr. Olympia in person somewhere, although getting a picture with him can be difficult. I’ve been going for six years now, and it still hasn’t happened. Maybe this year. I could go on, but I think you get the idea. If you’ve ever wanted to go to the Arnold, make this the year. It’s worth every mile you invest in the journey. Go to arnoldsportsfestival.com to check out all of the events and for details on how you can be a part of the big weekend. I hope to see you there. Related Story: Arnold Webcast Has a New Home….Right Here!